We are currently looking for an experienced, enthusiastic and highly driven Lettings Negotiator to join a highly motivated team. 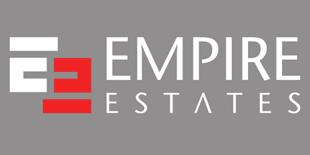 If you are self motivated and enjoy a fast paced environment then Empire Estates can provide you with an excellent opportunity. - To follow requests professionally, accurately and in a timely fashion. - To be target driven, keen to progress your career in a busy Estate Agent. - Working to strict deadlines under pressure. - To work on own initiative as well as part of a team. We are currently looking for an experienced, enthusiastic and highly driven Sales Negotiator to join an entrepreneurial team in the flagship Empire Estates Willesden Green office. If you are self-motivated and enjoy a fast paced environment then Empire Estates can provide you with an excellent opportunity. - An attractive basic salary of £17,000 - £20,000 + 10% commission on all deals. - The latest Mini as a company car. - On target earnings are £40,000pa with exceptional negotiators earning well in excess of this. - Exceptional career development and fast track promotion opportunity. Being based locally and familiar with local area would help. We are currently looking for an experienced, enthusiastic and highly driven Lettings Manager to join an entrepreneurial team in the flagship Empire Estates Willesden Green office. If you are self-motivated and enjoy a fast paced environment then Empire Estates can provide you with an excellent opportunity. - An attractive basic salary of £20,000 - £25,000 + commission. - On target earnings are £45,000pa with an exceptional Manager earning well in excess of this. Maximise overall income and expand Lettings business. This includes managing and inspiring a team of negotiators, winning instructions and delivering exceptional levels of service. You will need to be enthusiastic, confident and extremely well presented and outwardly display a passionate commitment to delivering the highest levels of customer service through your team exceptional communication and relationship building skills. 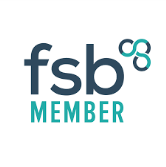 You will have the full support of your own team plus a well known Independent Estate Agency brand to further assist you in your mission.